November 1, 2018 – "The Home of Organic Golf Reviews"
Love it or hate it the reality is that the holiday season is fast approaching. With that time of the year lurking on the horizon it’s time to think about gifts for the little ones in your life. Perhaps, they’ve shown an interest in golf. If so, TaylorMade Golf has the perfect solution for you. TaylorMade Golf has introduced new Rory McIlroy-inspired Junior Golf Sets. In collaboration with the 4-time Major Champion the sets target two distinct age groups. The 4 Plus set targets junior golfers that are ages 4 and up while the 8 Plus set targets those junior golfers ages 8 and up. The 8 Plus features a 7-club set comprised of a 400cc driver, fairway wood, rescue, a 7 and 9 iron, a Sand Wedge, putter and bag. The 8 Plus retails with a MSRP of $499. While the 4 Plus set comes with 5 clubs (there is no fairway wood or 9-iron in this set) and has a MSRP of $399. both sets are offered in boys or girls sets. Please see the full release below as shared by Nick Obritsch who is the Marketing Manager for TaylorMade Golf Canada. 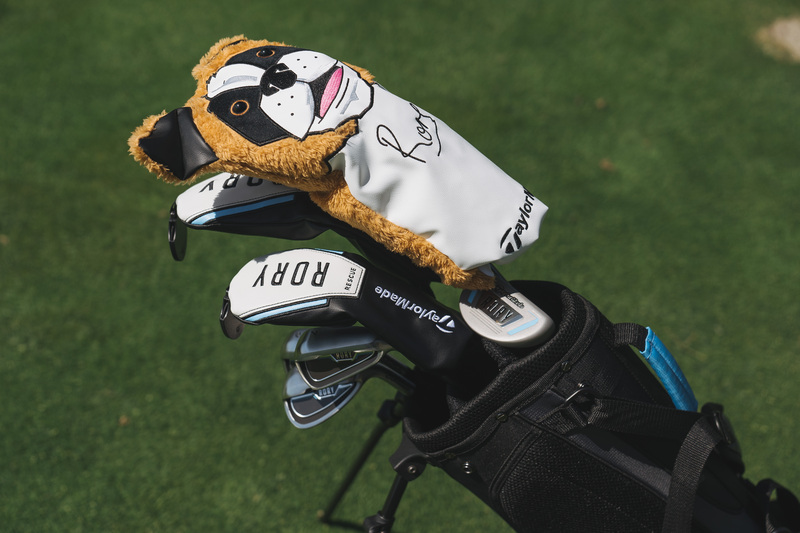 CARLSBAD, Calif. (November 1, 2018) – TaylorMade Golf, the industry leader in high performance product innovation and makers of the #1 Driver in Golf, announced the Rory Junior Golf Sets, inspired by and created through input from Rory McIlroy to welcome the beginner and developing player to the game of golf. The introduction of young players to the game is a passion point for TaylorMade and McIlroy, who himself was introduced to the game at a very young age. Made from 17-4 stainless steel, the irons in the two sets were strategically developed with loft configurations that help launch the ball high and straight. The 4-plus set features an iron loft 2 degrees lower than the 8-plus set to encourage higher lofts for easy launch for the younger player. Among the most important skills a junior golfer can learn are the fundamentals of putting. The centre-shafted mid-mallet putter was created with short-game development in mind by way of higher stability combined with easy alignment. For greenside chipping and bunker play, a 54°/56° wedge will help make this critical part of the game easier to learn and have more fun. Available starting December 7, Rory Junior Golf Sets are available in two set configurations for boys (4+ and 8+) and one set configuration for girls (8+), each created for a specific size and age range of player. Both sets include graphite shafts that have been flexed specifically for junior swing speeds. Additionally, each set also includes a special St. Bernard headcover, inspired by the headcover found on Rory’s M3 driver.